Chrome plating involves a process of electroplating a thin layer, generally as measured in microns, of chromium onto the surface of a metal or plastic object. In this article, you will know about chrome plating, its types, and applications. Chrome is slang generally used for Chromium. Chromium is one of the metals which are found naturally and cannot be used directly. As a solid Chromium is not much of use. Chrome plating is used for getting that surface finish that is reflective, shiny and to some extent corrosion resistant. Chrome plating is also known as 'Chrome Dipping', 'Chrome Electroplating' and 'Chroming'. There are two types commonly used. One is Hard chrome plating and other is Nickel Chrome Plating. The later is also known as 'Decorative plating'. It includes the process of plating the Nickel layer first and then a layer of chrome on the part surface. 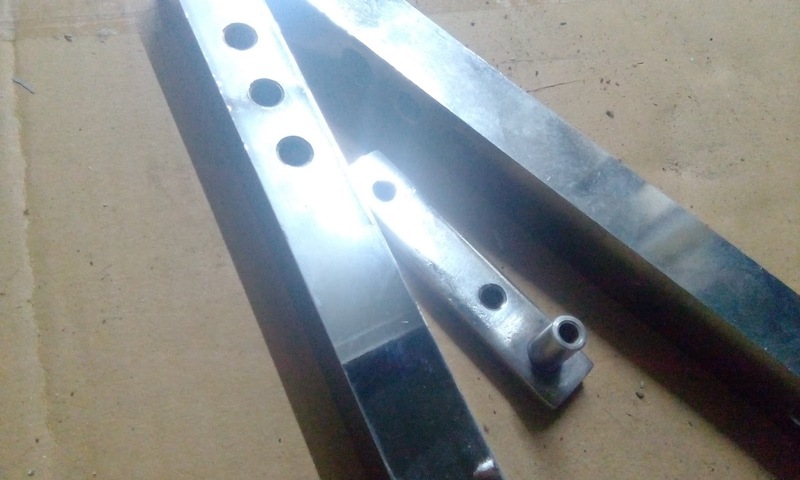 This type of plating is very useful if you want cheap and corrosion resistance. Hard chrome, also known as industrial chrome, is used to minimize friction between mating parts. The name confuses the user that it is harder than nickel chrome plating. But it is not true. The term 'hard' indicates the capability to undergo any hardness test to measure the layer thickness. Mostly hard chrome is used over hardened parts or where there is a need to retain oil for a long time. The Plating is generally used for Mild steel, brass or copper parts. For aluminum, it is recommended that polishing or anodizing is better. One has to take care of places on parts where there is any close tolerance needed for example bearing size.